Manzanares el Real is a 7,250 inhabitant town in the northern area of the autonomous Community of Madrid. 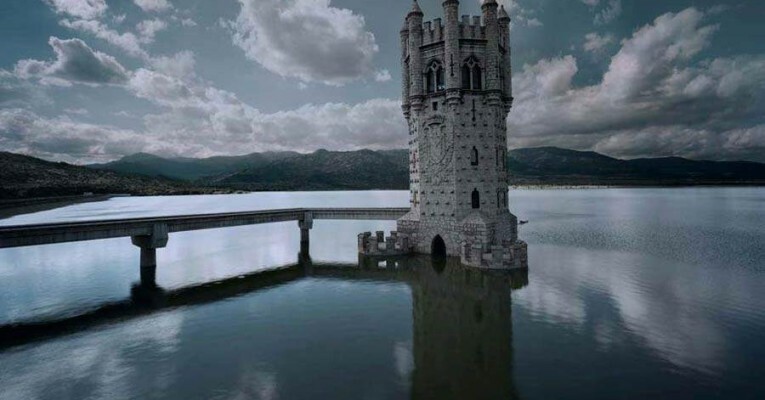 It is located at the foot of The Pedriza, a part of the Sierra de Guadarrama, and next to the embalse de Santillana (the Santillana reservoir). The village is located in the Cuenca Alta del Manzanares Regional Park, by The Pedriza a protected park that is listed in the Worldwide Biosphere Reserves and is one of the most stunning landscapes in the Region of Madrid. Mendoza´s Castle, one of the best preserved medieval fortresses in Spain, the Old Castle (Castillo Viejo), the Cañada Real Bridge, the first paper factory in Spain and the Museo Etnológico and Arqueológico are some of the highlights of a visit. The River Manzanares meets up with Lake Santillana just outside the village. This lake is one of the main water supplies for the metropolitan area of Madrid.